Women in the Church meet monthly in the fellowship hall to pray for missionaries, plan events, and participate in local missions. 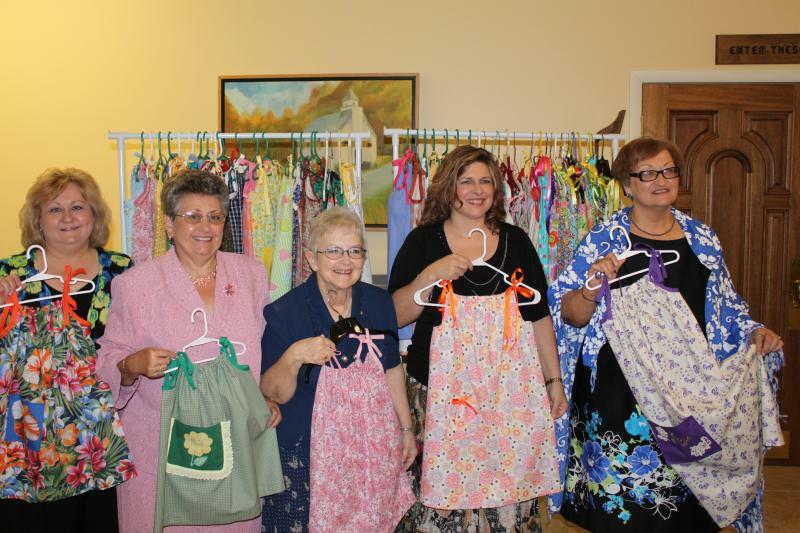 Meeting are held the 2nd Tuesday of every month at 6:30 p.m.
Several ladies in the Church constructed "Pillowcase Dresses" for orphaned girls in Haiti. Caney Baptist Church sent 59 dresses with the Haiti Mission team from Three Forks Baptist Association who went to Haiti the week of May 21, 2012. 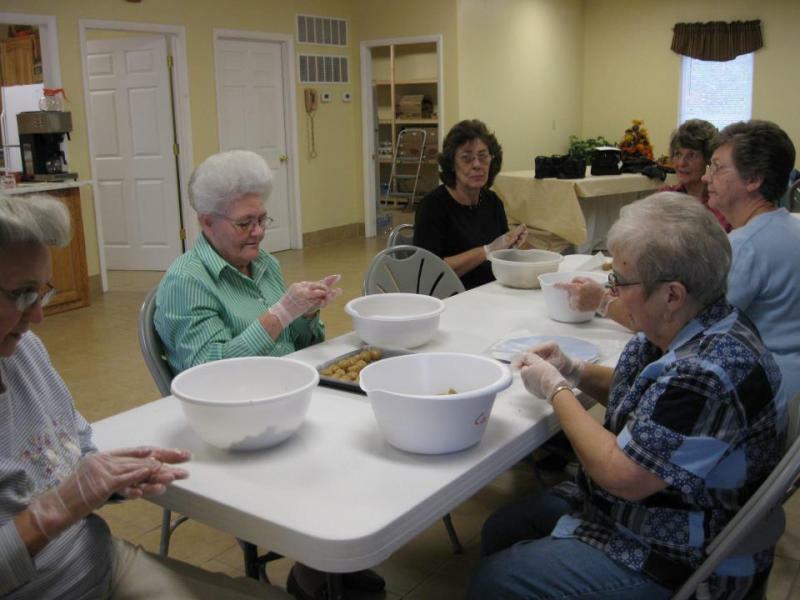 During the holidays, WMU ladies make "Peanut Butter Balls" candy which they sell to raise funds for the Church. 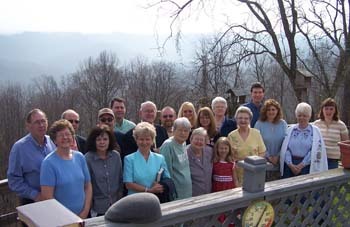 Easter Sunrise Services are sometimes held on Jacobs Ridge at which times WMU provides a delicious homemade breakfast. 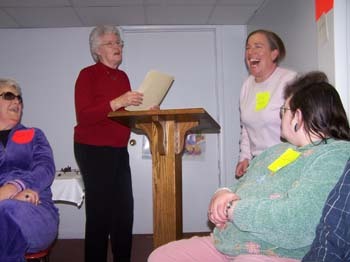 The ladie of the church provide much-needed help in youth projects such as Vacation Bible School. WMU hosts fun-filled programs for the whole church for special occasions such as Valentine's Day and New Year's Eve. 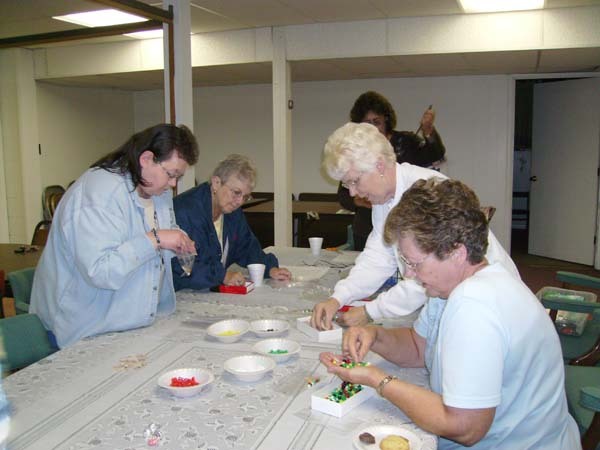 WMU often assemble craft packets for missionary teams to use in Bible teaching.